The multi-information display presents the driver with a variety of driving-related data, including the clock and current outside temperature. Indicates and sets the time. The temperature range that can be displayed is from -40°F (-40°C) to 122°F (50°C). Automatically displayed when the air conditioning is turned on. 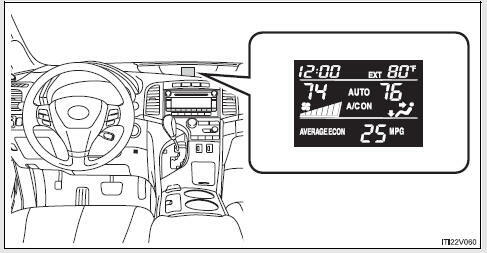 Displays driving range, fuel consumption and other cruising-related information.